Entrepreneurs: What Hours Will You Choose To Work? Without doubt the beauty of self-employment is the sense of freedom and choice it brings and that includes choosing what hours you will work in your business. I’m a bit old-fashioned when it comes to this. I sit down at 9 a.m. approx and get up when I’ve finished for the day, whether that be 3 p.m. or 10 p.m., when I’ve met all my commitments and achieved what I set myself for today and when my inbox is empty. When I’ve done enough. I don’t go for perfection, just good enough. But you don’t need to do it like me. I believe you can achieve a lot in much shorter hours but you do have to pick some working hours and hold yourself accountable to them or ask me to do that for you with, perhaps, a daily check-in email which many clients choose while they are building the habits of self-discipline and focus. Ring-fence some serious uninterrupted chunks of time of your own choosing, that’s the freedom. S works three mornings a week when her boys are at nursery, 15-18 hours tops. L works two-three days a week when her daughter is either with the child-minder or with her Dad, 10-20 hours depending on many variables. Sometimes these ladies are as efficient as all hell in those limited hours; sometimes more so than the rest of us who can work for longer periods of time and afford to squander our most precious resource. But sometimes they confess to fannying about and procrastinating which doesn’t make them at all happy with themselves. I am encouraging all my clients to pick their hours and stick to them. Experiment. 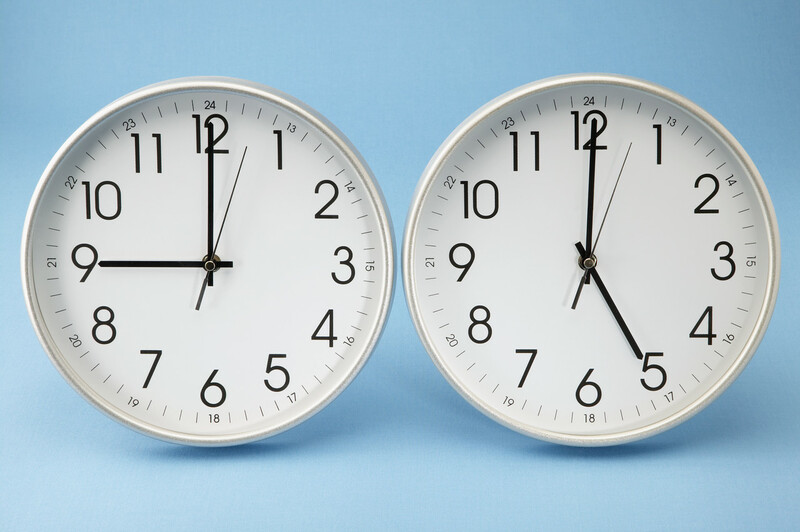 Find out which time of the day is best for you and your focus. And find out how you like to work. And then make an old-fashioned colour-coded school timetable of what you will do and when (I use Outlook for that) and stick to it like glue. Imagine there was someone breathing down your neck (me!) and get your work done. You will be glad you did because that’s what brings in the results you seek – money and recognition and a business that works. Back to the freedom point, it does still mean you can walk the dogs and get up early for journaling and yoga and some me-time. You don’t have to work like a demon possessed, you just have to do the best you can in the time you have chosen to make available, without excuses and pretending you are working. Productivity’s a muscle. Work it! What hours do you choose to work?